Maths is hard. StudyPug makes it easy! See our tips & tricks that make maths easy now! Examples that you can expect to find on your maths exams or from the back of your textbook—the ones your maths teacher never gets to. Use StudyPug at home, school, or on the go. Watch our maths lessons on your computer, tablet, or smartphone—you are covered! Personal maths tutors are expensive, and tutoring centers are not much cheaper. Get the best maths help at StudyPug for a small monthly fee. Enjoy a better maths mark, and be less maths-stressed! I always look for good learning resources for my students. Among all the maths resources, StudyPug is definitely one of the standouts. The maths lessons are great supplement for my teaching in class. The practice questions for each lesson also help my students solidify the concept s that they learn from maths class. I had a hard time preparing for the NCEA Level 1 maths exam because I was stuck with way too many maths concepts that I didn't understand. Luckily, a friend of mine told me about Study Pug. With its short and simple videos, I was able to clear up all the misunderstanding on concepts and questions quickly. StudyPug will surely be with me for all my maths exam prep! Maths is my weakest subject and I am always looking for help. 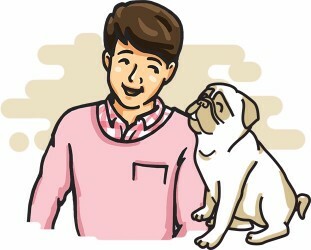 One day, I came across StudyPug online and after I tried out the free maths lessons, I really liked it and signed up right away. Your lessons are very easy to understand even on some of the toughest questions. That&apos;s the maths help I have been looking for. Pay per month for unlimited access — cancel anytime. All the same perks as the monthly but bigger savings!